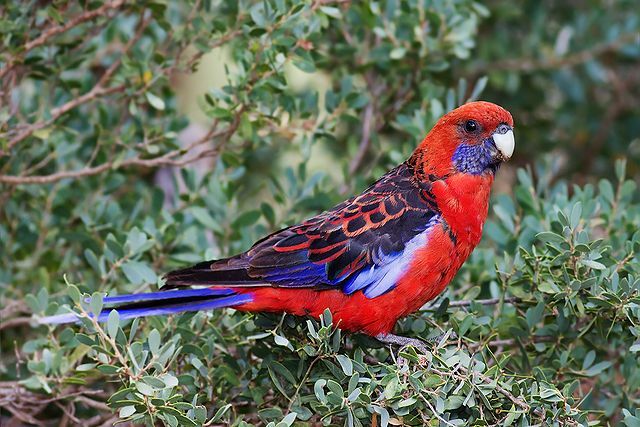 This entry was posted in Birds, Birdwatching, Christian, Daily Devotionals and tagged Bible, Christianity, Creation, Home School, Inspiration, Jeremiah 4, Nature, Photography, Pride, Rosella. Bookmark the permalink. That dignified-yet-almost-glamorous Crimson Rosella looks like he (or she) is ready to participate in a college graduation ceremony.